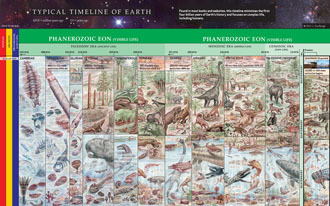 This beautiful poster is a full-color reproduction of the Typical Timeline and Full Timeline found in the book Echoes of Earth. 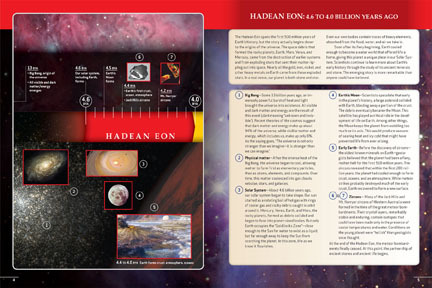 The companion 54-page Timelines of Earth Booklet offers fascinating details about the remarkable story of Earth and the rise and evolution of life. 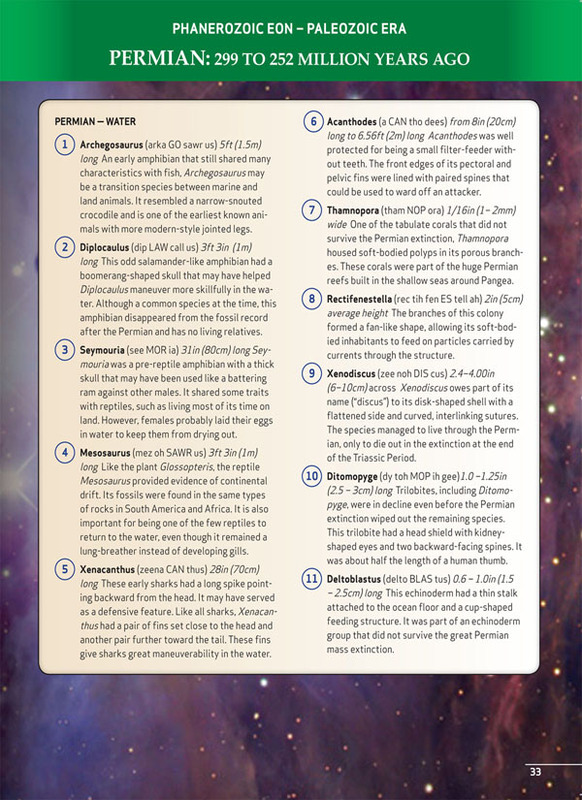 A wonderful reference for home or classroom! Booklet: 8.5 x 11 softcover, 54 pages. Educational discounts available. 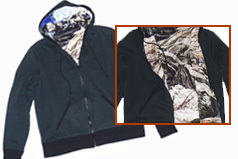 Please inquire through Contact Us. This Typical Timeline, found in most books and websites, minimizes the first 4 billion years of Earth history and focuses only on complex life, which includes us. 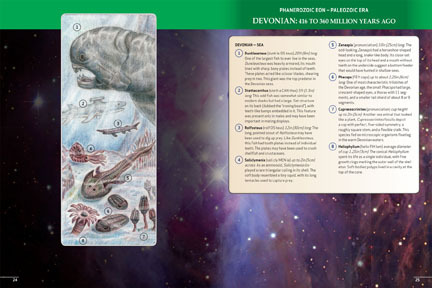 The author’s detailed illustrations convey the drama of evolving life over the past 600 million years to the present time. But this timeline ignores the greatest story of the planet’s history. 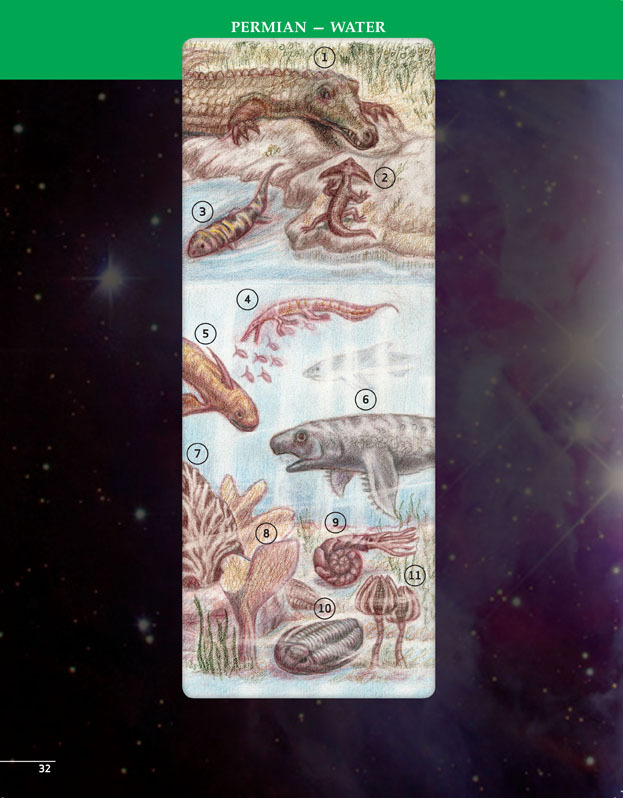 The Full Timeline, unfolding to 36”, tells the remarkable story of Earth from the beginning up to the present time. In the first 4 billion years, ancient stone and ancient life transformed the planet from a barren wasteland to a world teeming with life. Ancient Eubacteria and Archaea were the greatest terra formers the planet has ever known, giving us oxygen, the protective ozone layer, and the genetic elements that allow life to evolve and diversify. Without these tiny builders, all complex life, including us, would not exist. 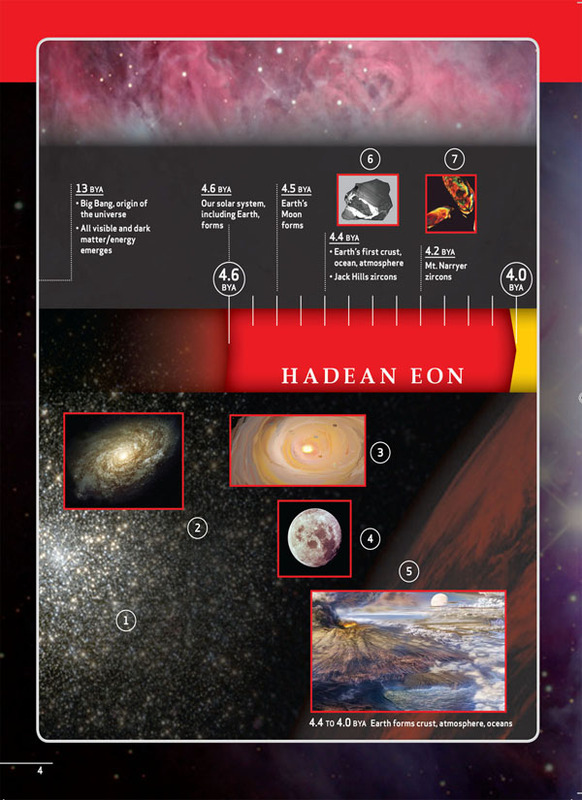 • Full Timeline: describes important events in each eon, including the key “inventions” of life. 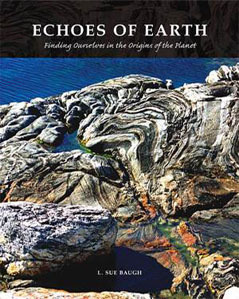 Timelines of Earth—the remarkable story of Earth history and our own!